The real estate market is littered with the corpses of residential and commercial construction and development projects that were begun either before or just after the real estate crash in 2007 but never came to completion due to the economy. Most of these are still there, waiting for investors to come in and rescue them from the same kind of stalled, vacant life that you typically only see in North Korea documentaries. One major project in Fort Wayne, Indiana, though, may actually be getting off the ground. The Harrison Square downtown development project was a multi-million dollar project that was supposed to revitalize the downtown area in Fort Wayne, a city that has been hit hard like many other Midwestern cities by the economic crash and real estate market collapse. A few pieces are completed, like the public Parkview Field, a parking garage, and a private Courtyard Marriott Hotel. But the Harrison, a four-story, $18 million residential/commercial development, was supposed to be a major piece completed back in 2009. Instead, significant delays – including a major default on the project itself – has pushed back the completion date to a shaky latter-half of 2013 date. The project is still not officially green, but two big-time private investors in the area have pitched in and joined the team. Now, the project may begin construction this November. This story highlights many of the same issues that have plagued several big cities (and many more smaller ones) over the past 5-6 years. Construction projects that were slated to begin years ago and pump a lot of money into the economy were put on hold – or killed outright – because of the economic crash. It’s hard to build any residential or commercial structure without funding, and lately, investors have had cold feet. 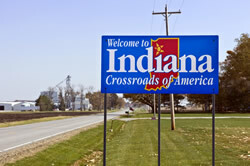 Now, though, just like in Fort Wayne, private investors are starting to get back into the game. Low interest rates and cheap discounts have made investing in all types of real estate more attractive than they have been since 2006 – and that is a great thing for the market.